featuring Banabox — a DIY Ikebana kit delivered to your door! One of my earliest formed habits of “self care” was buying myself flowers. Simply put — flowers make me happy. They make my heart smile and give life to any room. In fact, I don't know anyone who would say that flowers aren't uplifting? Banabox is my new self-treat (and I have major plans to gift this experience to all my loved ones)! 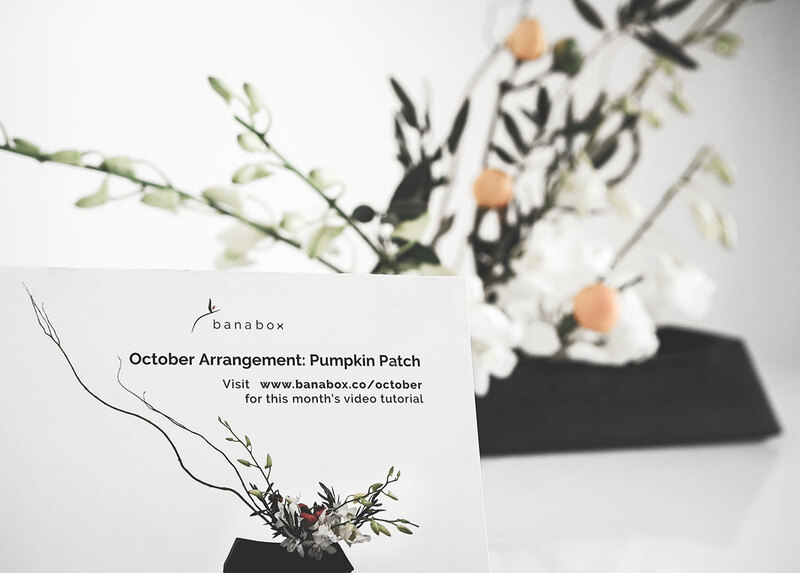 Banabox delivers the art of Japanese flower arranging to your door! Each month, thanks to our Banabox subscription, we receive fresh, seasonal blooms delivered to our door with everything we need to make our own Japanese flower arrangement! (instructions included, happiness guaranteed). 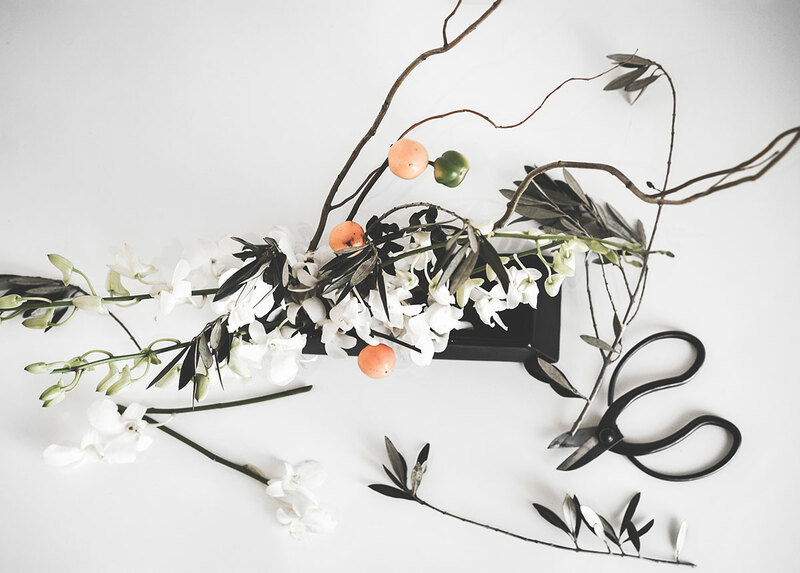 Your first order includes everything you will need to become an overnight ikebana master (at least that's how it made us feel, and we are sticking with the story). The free starter kit comes with a vase of choice, ikebana clippers, and a kenzan. 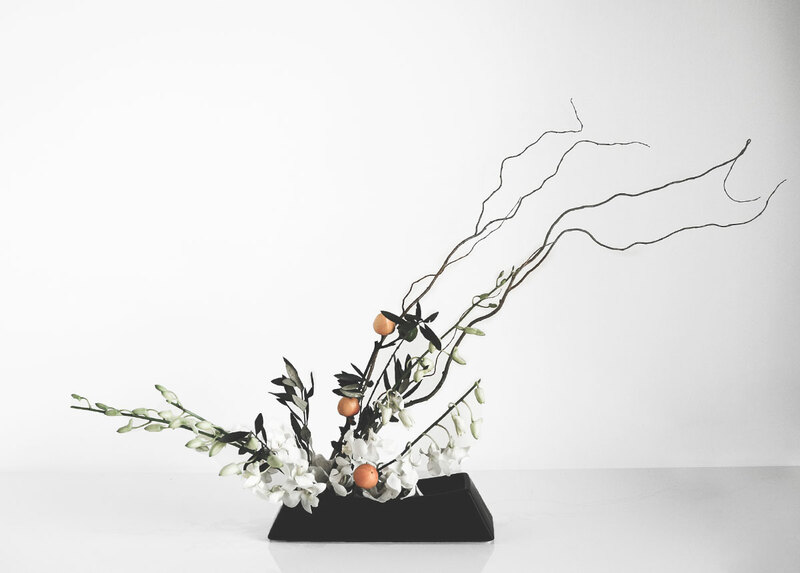 Ikebana combines nature with a human touch. The intent is to enhance nature by arranging and manipulating the materials. Ikebana often emphasizes the bend of a branch or the curve of a leaf, which allows the practitioner to discover new aspects of a plant. There is great emphasis placed on the intention behind each stem in an arrangement, with the goal being to use each stem to maximum effect.